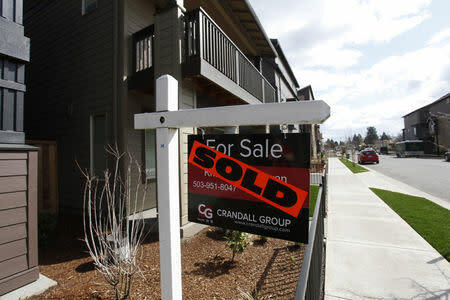 The Washington-based group's seasonally adjusted index on mortgage activity decreased 2.5 percent to 378.9 in the week ended Feb. 1. The week's decline in loan applications was driven by a further pullback in requests to buy a home. MBA's seasonally adjusted gauge on purchase loan applications, which is seen as a proxy on future housing activity, was 4.9 percent lower at 253.10 last week. “Despite more favorable borrowing costs...(purchase applications) are now almost 2 percent lower than a year ago," Joel Kan, MBA's associate vice president of industry surveys and forecasts said in a statement. "However, moderating price gains and the strong job market, including evidence of faster wage growth, should help purchase growth going forward,” Kan said. MBA's seasonally-adjusted barometer on mortgage refinancing edged up 0.3 percent at 1,053.4.